Deadline extended for sustainable land design workshop at Greenbuild: Register now! 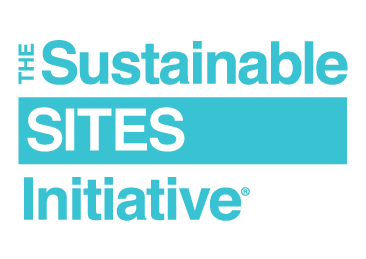 Early bird registration for the Sustainable SITES Initiative workshop has been extended. Monday, September 21 is the last day to take advantage of early bird registration discounts. Save by registering today! Participate in this half-day workshop on SITES, the most comprehensive program and toolkit for developing sustainable landscapes, on Monday November 16 from 1:00 pm – 5:00 pm at the Greenbuild International Conference & Expo in Washington, D.C. The SITES program is based on the understanding that land is a crucial component of the built environment and can be planned, designed, developed, and maintained to protect and enhance the benefits that people enjoy from healthy, natural systems. Administered by GBCI, the SITES rating system can apply to developed projects located on sites with or without buildings – ranging from national parks to corporate campuses, streetscapes and homes, and much more. Originally modeled after LEED, SITES includes best practices in landscape architecture, ecological restoration, and related fields, and knowledge gained through peer-reviewed literature, case-study precedents, and projects registered in the SITES pilot program. Applicable projects may use LEED and SITES in tandem.